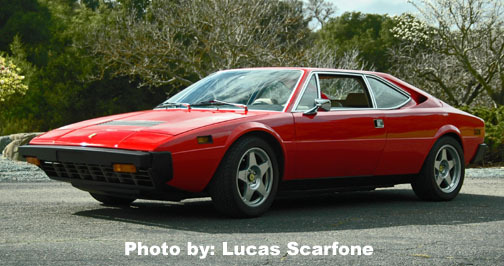 Sold new through "Ferrari of Los Gatos" in Los Gatos, California, in 1979. First (or second) owner from ? to 1991 was Mr. G. N. of Aptos, California. Second (or third) owner was Mr. M. C. and he uprated the suspension and brakes, installed electronic ignition, 16" wheels and Hella european lights. Third (or forth) owner was Mr. G. S.
Forth (or fifth) owner was Mr. R. M.
Fifth (or sixth) owner is Mr. A. J. and is the current owner. He purchased the car in February 2006 with approximately 80,000mi on the odometer.